As I sit down to write this blog I can’t help but ask myself, how do I write a blog about a weekend were I spent the majority of it intoxicated? Oh well, will have to do my best! 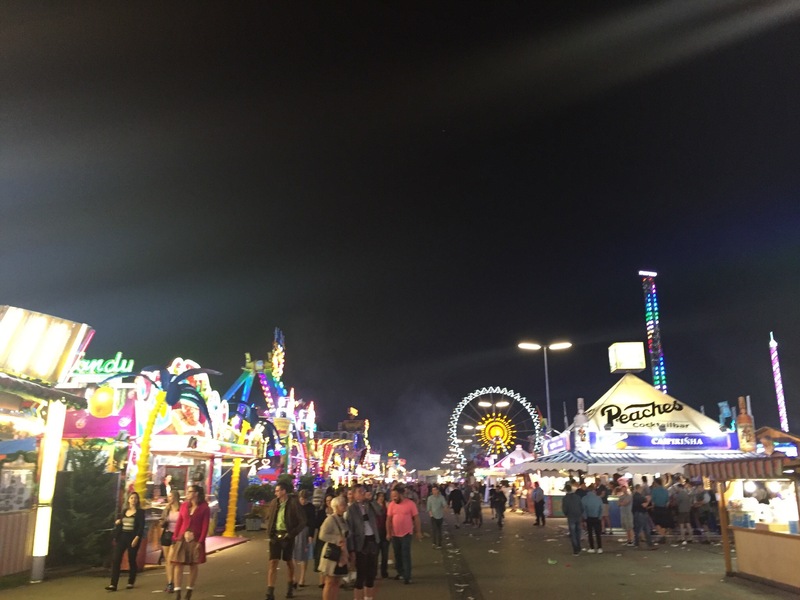 Oktoberfest is probably the European experience most recommended to me by friends, colleagues and anyone else who’s been. With big expectations I boarded my flight to Munich, pretty damn excited for the weekend ahead. After checking into the hostel and a delicious meal of wiener schnitzel and beer, it was time to meet up with the whole tour group and have a chat/drink and get to know each other. After we had a briefing from our tour leader, Timmy from Wellington, we were off into the central city for a walking tour. Now really it should be ‘walking tour’. 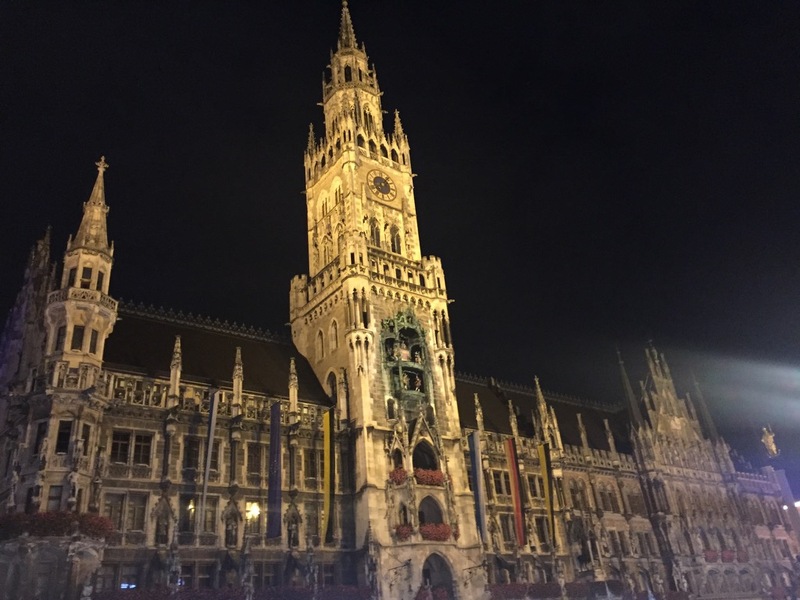 After getting off the S Bahn, we walked to Maria Platz where the beautiful town hall is, and stopped for a bit of a history lesson on the city of Munich, Oktoberfest, and a bit of pointing at some of the buildings and architecture. 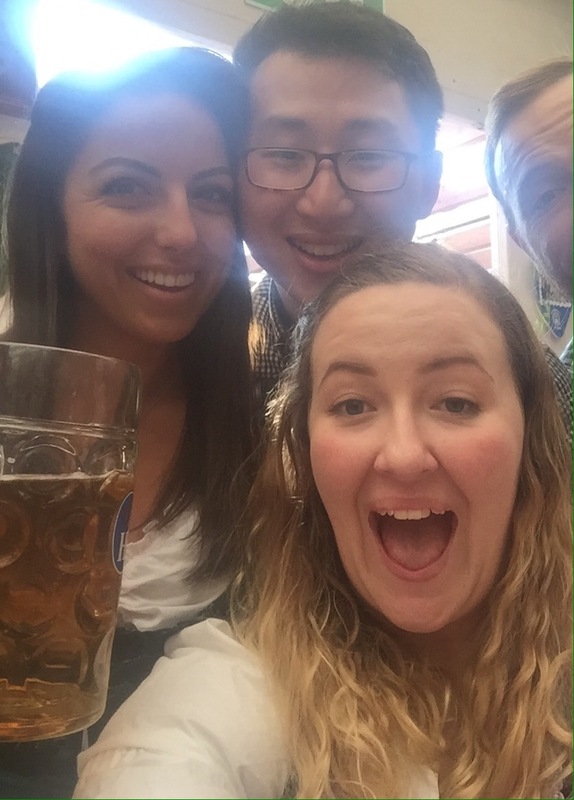 After that, we were done with the walking tour and off to the original Haufbrau beer hall! 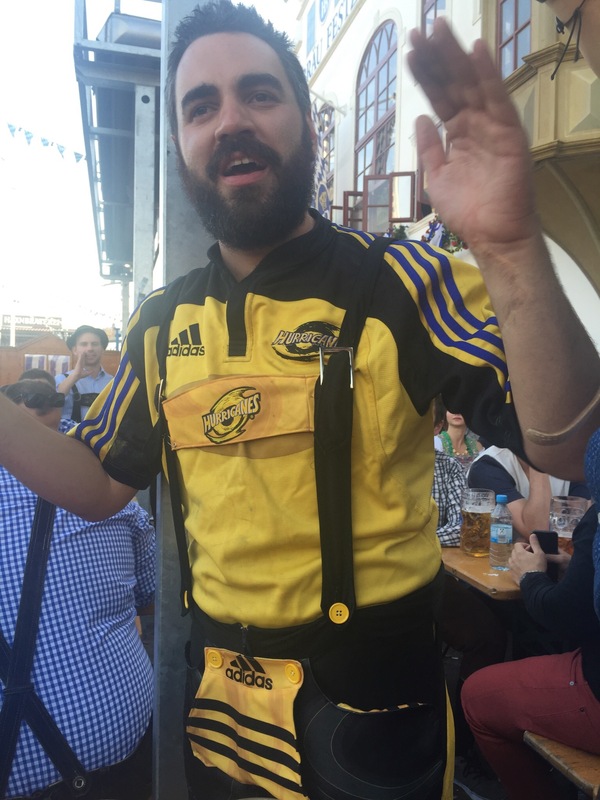 The beer hall was beautiful and a lot of fun, with the oompa band, steins, sculling and general tomfoolery and laughter. I’m going to be honest, I was coming to the conclusion that we had a pretty awesome tour group. We made sure to try some pork knuckle and potato dumpling which was delicious, and still no green vegetables in sight! 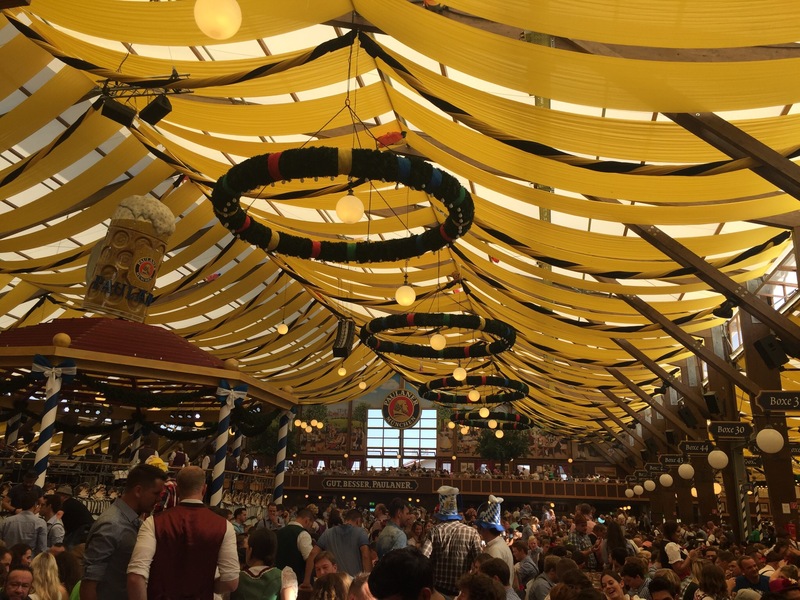 After a reasonably early night, it was up early to get into the beer hall on Saturday morning, the busiest day of the whole Oktoberfest. 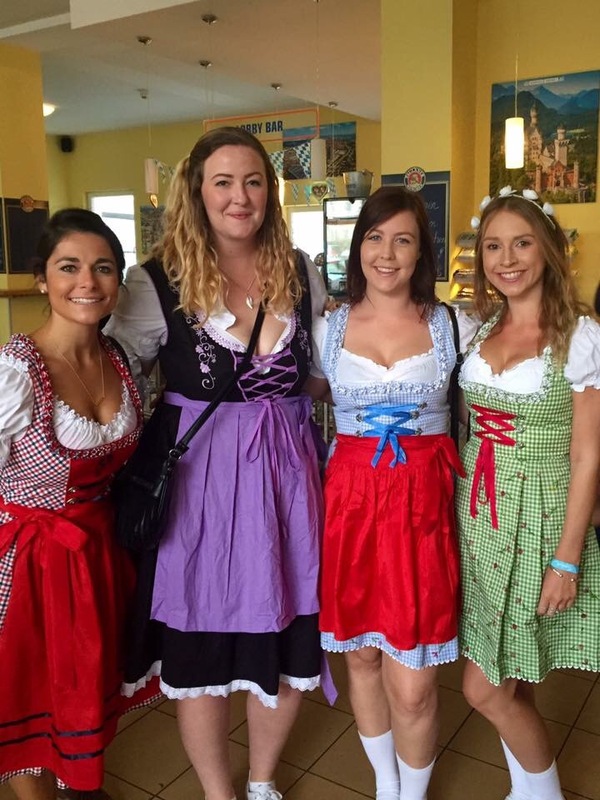 Everyone looked fantastic in their Dirndls and Lederhosen, it really was great. We managed to get in and find some tables together and it wasn’t long until we were all very merry and happy. 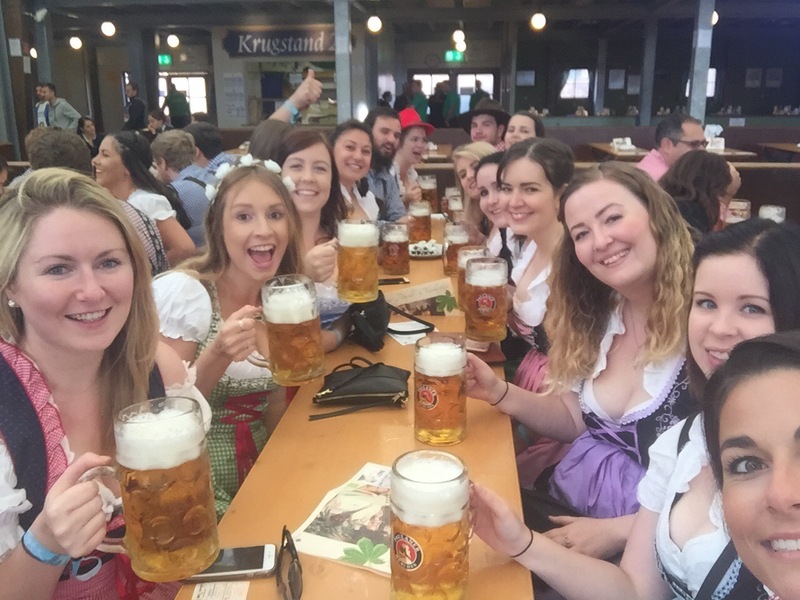 One thing that I still can’t get over, is how the frauline’s managed to carry 8 or 10 HEAVY steins over to the table. It really was amazing! I have sore hands today just from holding 1 at a time over the weekend!! Drinking with all our Aussie Topdeck buddies was great fun, but after several hours Tim and I decided to go and catch up with our kiwi friends in another tent. 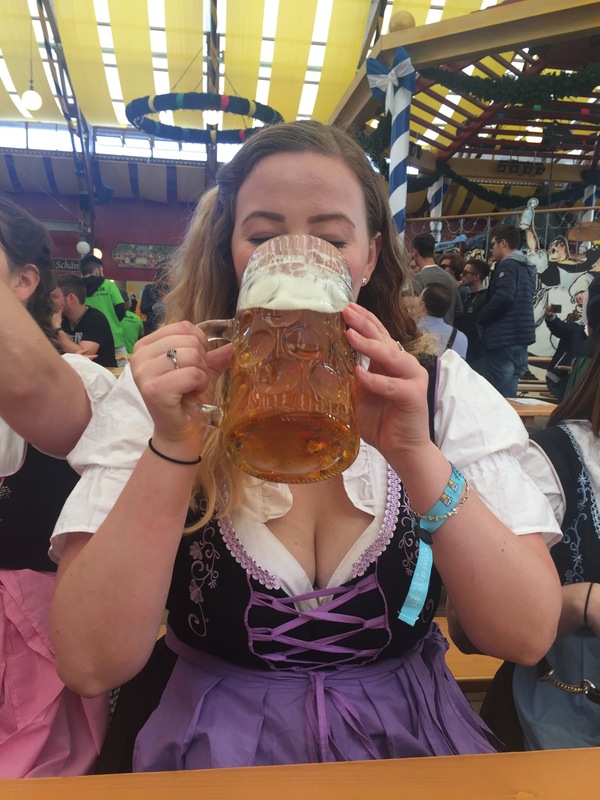 I’m gona be honest, I’m not quite sure how we made it there, or what time it was, but I know we had fun which included dancing on chairs/tables, more steins and lots of laughter and drun photos. We did unfortunately get kicked out by security after somehow enraging the frauline. I’m not quite sure what we did but I think the Americans sitting at our table may have had something to do with it and we were just guilty by association. 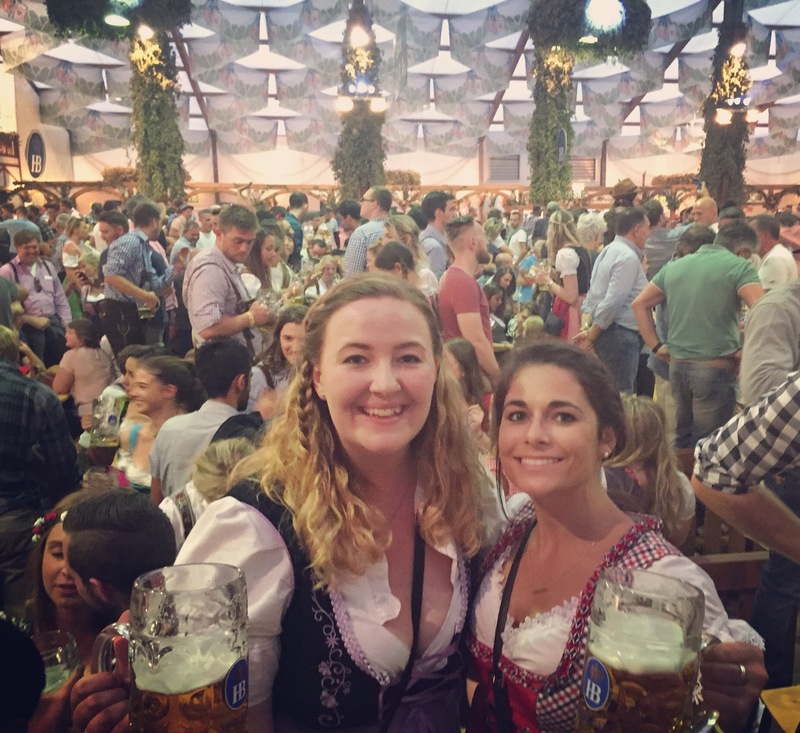 After some general mischief out in the ground, some snacks and a few attempts to get into other packed tents, we ended up making our way to a beer hall near the Oktoberfest grounds for a night cap stein before heading back to the hostel. 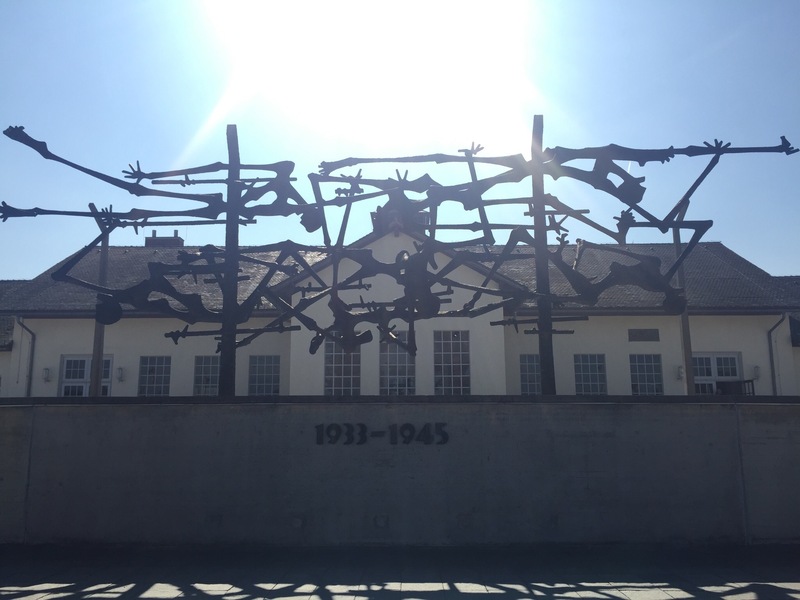 Sunday dawned cool and sunny in Munich, and instead of donning my dirndl it was into a much more normal outfit to visit Dachau concentration camp. 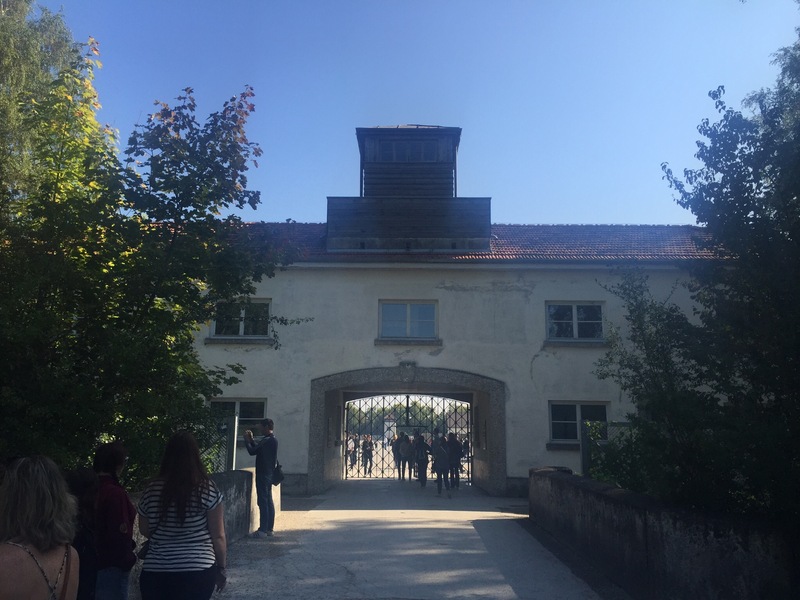 Although Dachau is a small camp compared to others, it is well known as being the first Nazi concentration camp. It was not an extermination camp as such, however there were executions carried out here, including with the famous ovens. A lot of cruel and torturous medical experiments were conducted here too, killing hundreds of prisoners. The conditions of the camp, like others, were appalling, especially in the final months of the war when other camps were evacuated as the allies advanced closer. 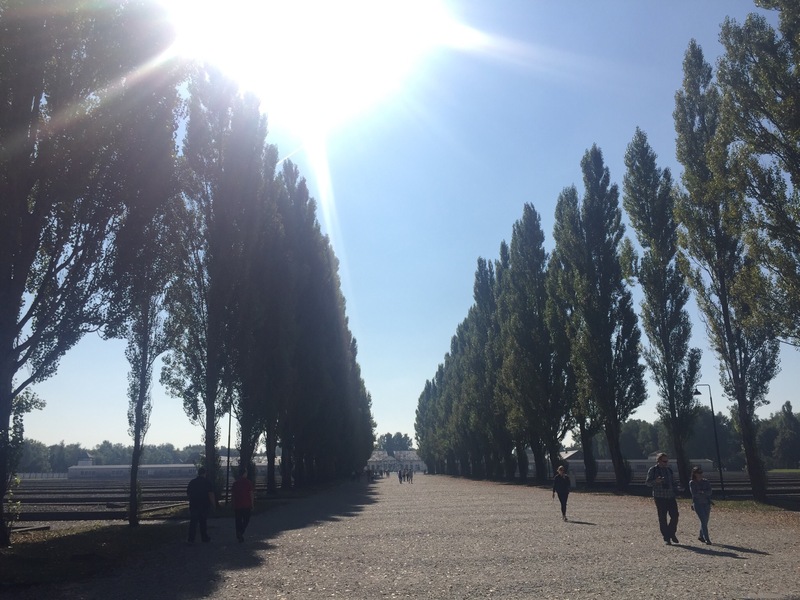 Like a lot of sites of this nature around the world, the grounds now serve as a tranquil and peaceful memorial, and a place to educate future generations of the atrocities that took place there, so as to prevent it from happening again. Visiting the camp was a very moving experience, and one I will always be grateful for. 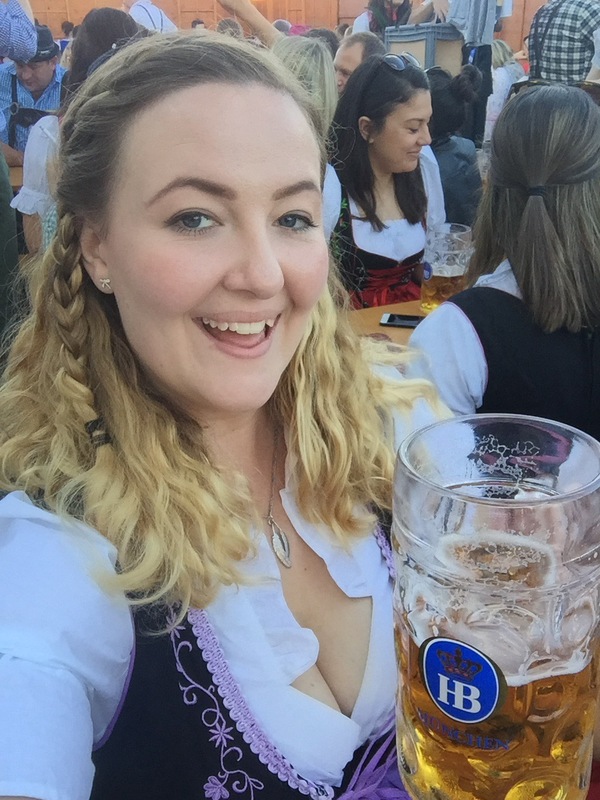 Sunday afternoon and it was back to Oktoberfest. 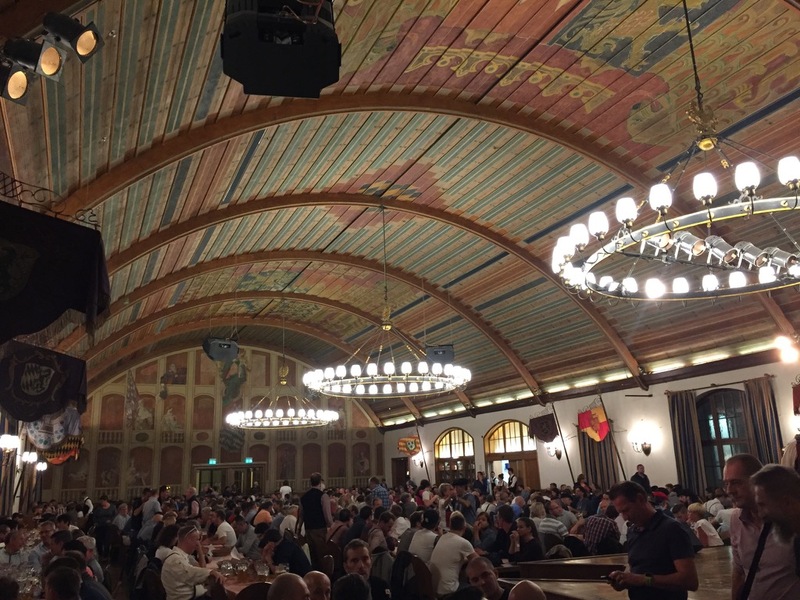 Luckily it wasn’t as busy as Saturday, and we very quickly found ourselves in the heart of the famous Hofbrau tent, several steins in, dancing, singing and having a fantastic time. The Topdeck team really excelled this evening, and I’m sure everyone was having a fantastic time. Unfortunately Tim was the casualty of an over exuberant prost! Given he was cared for by some lovely ladies from Canada and Australia, I think he was alright… although those stiches need to stay in for a few weeks. After Tim was taken back to the hostel, we decided in our intoxicated state that it would be a great idea to go and try out the rides. At this stage I really was having the time of my life, and the rides were super fun! However it was now late, and I had to be up early for the trip home. 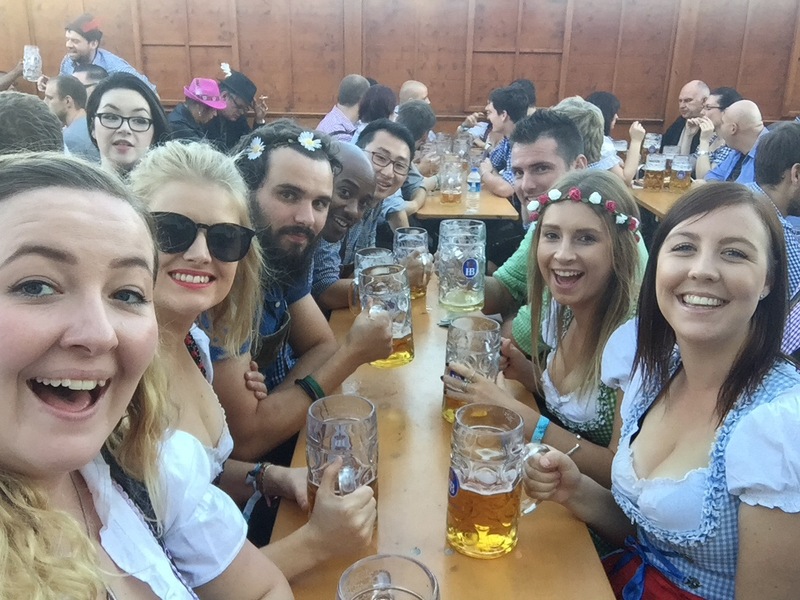 Overall, I can’t recommend Oktoberfest enough, it really was one of the best, most fun and enjoyable times of my life. I might even consider going again, but I need to recover first.